The process of building a custom home is often the most misunderstood segment of housing hunting. Said differently, a high percentage of prospective home buyers start out thinking they may want to build a custom home but then end up buying an already built “spec” home or working directly with a builder to modify a home that is in the process of being built. First, let’s start with identifying a lot to purchase. To do so, it’s critical to understand the builder/new construction market. In our local real estate market (the DMV), you’ve probably noticed a ton of new construction. While some of the construction is “custom” projects in which a property owner has hired an architect and builder to construct a home on their lot, the vast majority of these projects are “spec” homes. A spec home is one where a builder/developer buys a lot and then designs and builds a new home on “speculation” that they will be able to sell to a consumer. When real estate markets are strong (like they are now), you’ll see increased spec home activity. Builders and developers invest enormous amounts of energy and resources into trying to identify the best lots on which to build a spec home. When they find a potential lot, they are prepared to pounce and quickly prepare a clean, cash-written offer with limited contingencies and closing terms customized to the seller’s needs (short or long settlement, rent-back period, etc.). They try to make it easy and simple for the seller to agree to their offer. There is a saying among spec home builders that they make their money on the lot purchase (as opposed to the ultimate sale of the finished home). The better the lot, the less risk it is to the builder. In fact, if the lot is good enough (and the builder has a good enough reputation), the builder might be able to presell the new home before it’s even built. How does a builder identify and price the lots they want to buy? It all starts with the “outsale” price. The outsale price is the eventual price that a builder anticipates they will be able to sell a new home for on that lot. From the outsale price, the builder backs out the hard costs and soft costs of building/selling as well as the profit margin they hope to capture. (Hard costs are the direct costs of the physical construction; soft costs are the “non-build” costs which include carrying costs, architectural fees, permitting fees, engineering fees, real estate commissions, etc.) Whatever is leftover is how much the builder can pay for the lot. If a neighborhood doesn’t have any new construction there is more risk for the builder because there is no precedent for the outsale price. On the other hand, if a neighborhood has several newly constructed homes that have sold over the last few years, there is less risk for a builder as they will have supporting data with relevant, comparable sales. The more new-home sales in a neighborhood, the more that neighborhood has “turned over” and the less risky that neighborhood is to a builder. As an example, let’s say a neighborhood of 200 homes originally built in the 1960s and 1970s has had a dozen “spec” home sales over the last few years ranging from $1.6 million to $1.8 million with an average close price of $1.7 million. The one $1.6 million home sale seemed lower because it was one of the first houses to turn over and on a busier street. The $1.8 million sale was more recent but on a relatively bigger lot and a relatively larger home. Okay, so what does this mean for the buyer who wants to find their own lot to build their dream home? It means they are going to have to compete with builders to find a good lot and write a competitive offer. The buyer is facing an uphill battle for several reasons. First, buyers are at a disadvantage because it can be extremely difficult to find a lot that has building potential. Builders often have spent years with letter campaigns, door knocking and one-on-one meetings with potential sellers of lots. They aggressively try to find and lock up opportunities before they are available to the general public. Builders kiss many frogs to find lots that are of interest to them. A second disadvantage is that buyers typically do not have the necessary expertise and resources to evaluate a lot’s potential and therefore move too slowly. When an opportunity to purchase a lot arises, builders have a ready team of architects, engineers, real estate agents and staff in place to perform the necessary due diligence. Buyers, on the other hand, often start to assemble their team after the lot opportunity has presented itself. To protect themselves, buyers often ask for relatively long “study periods” in their purchase contract so they can assemble their team and perform the due diligence. Sellers of lots typically don’t want the risk of a long study period. Buyers are right to be cautious when writing an offer to purchase a lot. Not all lots are the same and there may be hidden problems or challenges. Some examples are setbacks (which determine how far from the property boundary the house can be built), storm easements, topography, soil quality, title issues and lack of public water and/or sewer hookups. Some of these problems and challenges may create additional costs or delays and may prevent construction altogether. For a buyer not familiar with these issues, it can take 30 days (or more) to assemble a team and get to a point where they can safely remove all contingencies and move forward with a purchase. A 30-plus-day contingency period is an eternity in the competitive real estate world. A savvy builder can often complete their due diligence in seven days or less. Another disadvantage to a buyer is what we affectionately call “lack of vision.” Frankly, it’s difficult for a typical buyer to look at a lot (whether vacant or with a teardown home on it) and see the potential. For example, most buyers look for a lot that is perfectly flat. Some of the best lots, in our opinion, have a gentle slope up to the house front and then a gentle slope toward the back lot line, and from one side to the other. That lot tends to be better for drainage, allows for the entrance for the house to be at (or slightly above) street level, and may even allow for walkouts on main and lower levels. Some lots that appear to have topography issues (for instance, too sloped) may in fact be great lots. Builders can also do wonders with regrading and retaining walls. By the time a buyer sees the potential, it’s often too late — the lot is already under contract by a spec home builder. Finally, a buyer also has a disadvantage when it comes to financing. For a traditional mortgage, a lender asks the borrower to confirm that they will actually live in the property as a principal residence. If the buyer is tearing it down, they cannot make that representation. This representation limits a buyer to two financing options — all cash or construction financing. Cash is king when purchasing a lot and better allows a buyer to compete with builders. Construction financing can be more problematic because it is less attractive to the lot owner — it’s more risky and the buyer will not be able to show up to the closing table with the necessary funds — and because it requires the buyer to already have a contract with the builder. Construction financing comes in various forms but basically allows the buyer to pay for the lot and construction costs with one loan. The bank will allow the builder to make “draws” on the loan according to a draw schedule when certain building thresholds are met. In order to give a construction loan, the lender will want to do an appraisal of the finished new house in today’s market. In order to do the appraisal, the appraiser needs to see the design, floor plans, features and specifications. And herein lies the Catch-22. How is the buyer going to get construction financing if they haven’t identified the lot or the builder or the design? They can’t! On the positive side, a buyer does have one distinct advantage over builders and developers when purchasing a lot. That is, a buyer can pay more for a lot than a builder can. As we said before, a builder will build a profit margin into the price they are willing to pay for a lot. A buyer doesn’t have to. Said differently, a buyer isn’t necessarily trying to profit from the construction of their home, and can pay “above” market prices yet still achieve their family’s objectives (happy home and location for many years to come). In our experience, a buyer who wants to build custom homes because it will save them money is often disappointed. Given these advantages and disadvantages, we have seen that the most successful course for a buyer wanting to build a custom home is to first choose the builder they will be working with, and then work with that builder to identify and acquire the lot and build their custom home. Buyers often fear that by allying with a builder too early in the process, they are losing their negotiation leverage with that builder. While there may be some truth to that, it’s also true that builders value loyalty, and they love having a buyer contractually commit to building with them because it takes the “speculative” risk out of the picture. Taken together, a good builder will reward the end user with some cost savings. To use a baseball analogy, the best builders look to hit singles and doubles with each project. If the builder is looking to hit triples and home runs, they’re looking to take advantage of the buyer. In our view, even with an “ironclad” building contract, there are hundreds of ways a builder can take advantage of a buyer in building the home. At the end of the day, you need to pick a builder you can trust (having a well-thought, well-written contract is not a bad idea either). Builders with strong reputations, builders who introduce you to their past clients (check references! ), builders who keep you involved in the building process — this is who you want to look for in building your new home. If you’re just looking at price, you’re making a big mistake. Also, you should look for compatibility — building a home should be a fun and enjoyable process. Choose someone you trust and will enjoy working with. Some people truly enjoy the process of designing and building their home and most love living in the home that they have customized for themselves. If you haven’t figured it out already, building a custom home requires lots of work. There are hundreds (if not thousands) of steps and decisions to be made along the way — establishing a budget, finding the lot, getting the lot under contract, finding an architect, finding a builder, designing the home, making selections, choosing paint colors, making change orders, etc. That being said, if you educate yourself, assemble the right team and remain realistic with your expectations, building a custom home can be an extremely rewarding experience. 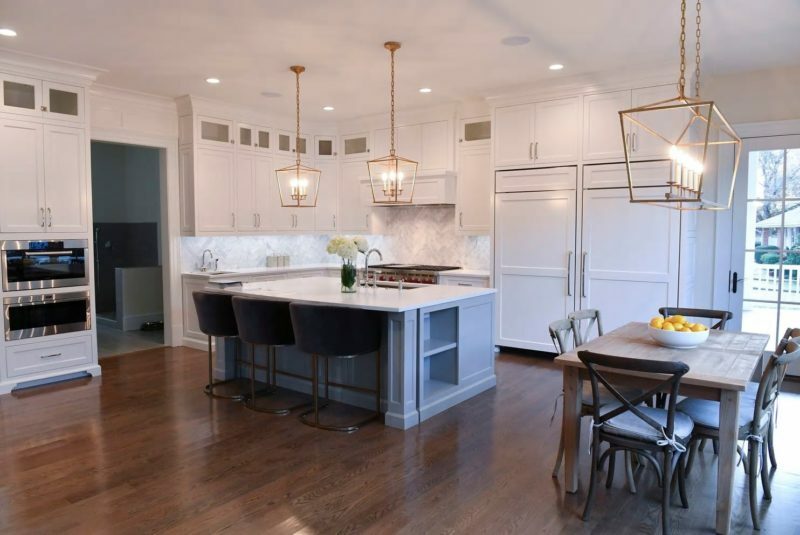 Steve and Hans Wydler are principal brokers with Wydler Brothers Real Estate in the Washington area and work with buyers and builders of custom homes. They write an occasional column about market conditions.